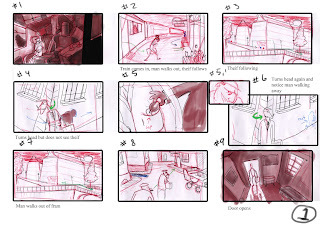 Week 5 of our 2. semester was storyboarding with Tod Polson. I really enjoyed it and look forward to be doing more storyboarding in the future. 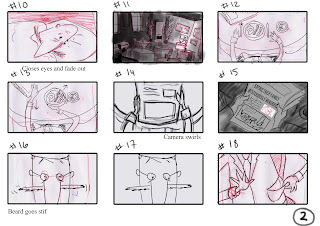 The other main assignment was storyboarding of "The Hound" by H.P. Lovecraft. My seaquence was when the narrator returned to Holland and descovered the amulet was missing. He was actually suppost to be on a boat but we changed it to a train.